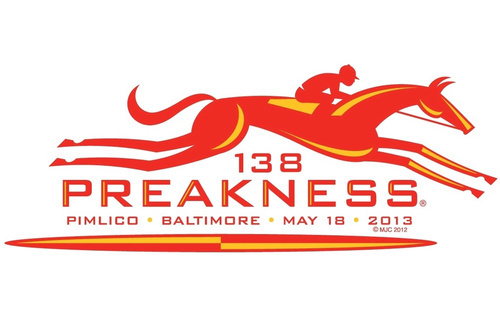 The 138th Annual Running of the Preakness Stakes and InfieldFest returns Saturday, May 18 at Pimlico Race Course! Come out to the Baltimore region’s biggest party! The Preakness InfieldFest will feature live performances by international superstar Pitbull and hip-hop stars Macklemore & Ryan Lewis. Both artists will play extended sets on the Main Stage in the public Infield at Pimlico Race Course when the Maryland Jockey Club, North America’s oldest sporting organizat ion, hosts the 138th renewal of the Preakness Stakes. Each year, many visitors come to the Baltimore area to celebrate the running of the Preakness Stakes. The vibrant hues of red, yellow and black flood the track. Floppy hats adorn the general admission lawn, while some enjoy fine dining in the terrace seating. Book your tickets online for the Preakness and the InfieldFest and then book your room for your stay at the 1840s Carrollton Inn. Less than a fifteen minute drive by car from Pimlico, or also accessible by public transit, the 1840s Carrollton Inn is the perfect place to stay for your weekend of excitement in Baltimore! The convenient downtown location is not only perfect for the day of the race, but also for enjoying the town on the rest of your visit, as well. There are many restaurants and museums, stores and attractions for you to explore while staying in Charm City for the Preakness. If you love horses and horse country, take a short trip up the Jones Falls Expressway to explore the Greenspring Valley and the beautiful homes and farms. Plan your incredible weekend with the 1840s Carrollton Inn! We would love to be your bed and breakfast of choice for the 138th Running of the Preakness Stakes & InfieldFest! For more information about the event visit http://www.preakness.com! For information on rooms and availability at the 1840s Carrollton Inn, click here!